Mr. Temizyurek graduated from the Department of Political Sciences at Ankara University in 1995. The same year he joined the Turkish Ministry of Finance Tax Inspectors Committee as an Assistant Tax Inspector. After passing the sufficiency examination in 1999, he was appointed as a Tax Inspector. In 2006 he became a Senior Tax Inspector. Between 2006-2008, he studied his Master's in “Financial Economics” and “E-Commerce, Systems and Technologies” in the United States. 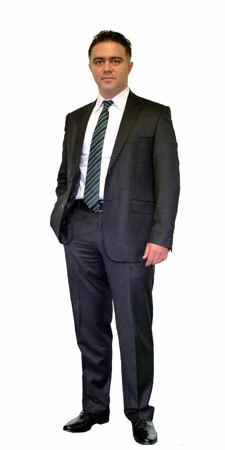 In 2010, after he resigned from his position of Tax Inspector, he joined Arkan & Ergin as a Partner. Currently, he is working as a Certified Public Accountant.